The launch of the My Bag is Yours fundraising campaign was held on April 3rd at the restaurant LOV (1232 Rue de la Montagne). This joint initiative by the Women’s Y Foundation and the YWCA Quebec will not only enhance women’s solidarity, but will also raise funds for the two organizations that help thousands of women every year in precarious situations. This year, the My Bag is Yours campaign offers a new concept which includes three main activities : a challenge, an online auction and the sale of a purse created exclusively for the occasion. Starting April 15, people of all ages will be invited to take part in a challenge called In My Bag of Tricks, where they will have the chance to reveal a hidden talent through a photo or a video published on social media. My bag is Yours campaign is also a collection of designer handbags and second-hand purses donated personally from women all over the province. The handbags collected will then be cleaned and evaluated before being entered in an online auction open to the general public from June 14th to the 19th. The funds collected will then be invested in the YWCA housing services for women in difficulty in Quebec City and Montreal. It is now possible to donate money or a designer handbag. Visit mybagisyours.com for more information. 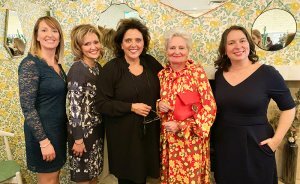 In this regard, more than sixty businesswomen across the province have responded positively to Ms. Guérette’s invitation and are involved as ambassadors for the campaign. These ambassadors will take on the role of seeking handbags and financial contributions in their network to support the campaign. Several Quebec personalities will also participate in this campaign, including Véronique Cloutier and Pénélope McQuade who have already generously donated a purse, as well as the actress Sonia Cordeau and Kim Sullivan, meteorological specialist and community reporter for Global Montreal, both spokespersons of the campaign. 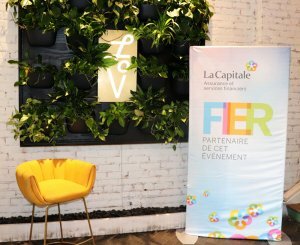 A big thank you to the main partners of the campaign: La Capitale Insurance and Financial Services, presenter of the campaign and Epiderma, presenter of the online auction. Also, thank you to our prestigious partners: Structura Conseils and DDB Canada. The Women’s Y Foundation was created in 1995 and supports the mission of the YWCA Montreal to build a better future for women and girls. It is an indispensable ally in terms of financial support and outreach to the organization and contributes to making it an essential reference for women and girls to contribute to society to the extent of their abilities. The YWCA Quebec, founded in 1875, promotes the well-being and safety of women and girls as well as the fulfillment of their full potential and helps them develop the best of themselves. As a living environment and an essential resource for the community, the YWCA Quebec aspires to be the reference for women and girls in order to build a better and egalitarian society to which they will contribute fully. La Capitale Insurance and Financial Services, created in 1940, has a strong presence across Quebec and throughout Canada. With over 2,740 employees and guided by the values of mutualism on which it was founded, La Capitale works with clients to build, protect and value what they feel counts for their financial security. It offers insurance products and financial services to the general public as well as to Quebec public service employees. With assets of $7.1 billion, La Capitale occupies a choice position among leading insurers in Canada. As a leading socio-economic player in the community, La Capitale contributes to its cultural and social vitality by actively participating in numerous events and organizations.